Estimation of contemporary effective population size and population declines using RAD sequence data. Title Estimation of contemporary effective population size and population declines using RAD sequence data. 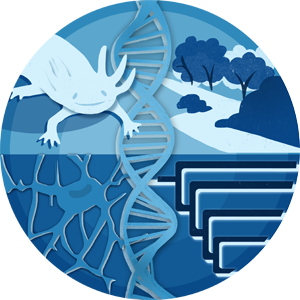 Large genomic data sets generated with restriction site-associated DNA sequencing (RADseq), in combination with demographic inference methods, are improving our ability to gain insights into the population history of species. We used a simulation approach to examine the potential for RADseq data sets to accurately estimate effective population size (N ) over the course of stable and declining population trends, and we compare the ability of two methods of analysis to accurately distinguish stable from steadily declining populations over a contemporary time scale (20 generations). Using a linkage disequilibrium-based analysis, individual sampling (i.e., n ≥ 30) had the greatest effect on N estimation and the detection of population size declines, with declines reliably detected across scenarios ~10 generations after they began. Coalescent-based inference required fewer sampled individuals (i.e., n = 15), and instead was most influenced by the size of the SNP data set, with 25,000-50,000 SNPs required for accurate detection of population trends and at least 20 generations after decline began. The number of samples available and targeted number of RADseq loci are important criteria when choosing between these methods. Neither method suffered any apparent bias due to the effects of allele dropout typical of RAD data. With an understanding of the limitations and biases of these approaches, researchers can make more informed decisions when designing their sampling and analyses. Overall, our results reveal that demographic inference using RADseq data can be successfully applied to infer recent population size change and may be an important tool for population monitoring and conservation biology.